Rent Subtext Gallery | Corporate Events | Wedding Locations, Event Spaces and Party Venues. 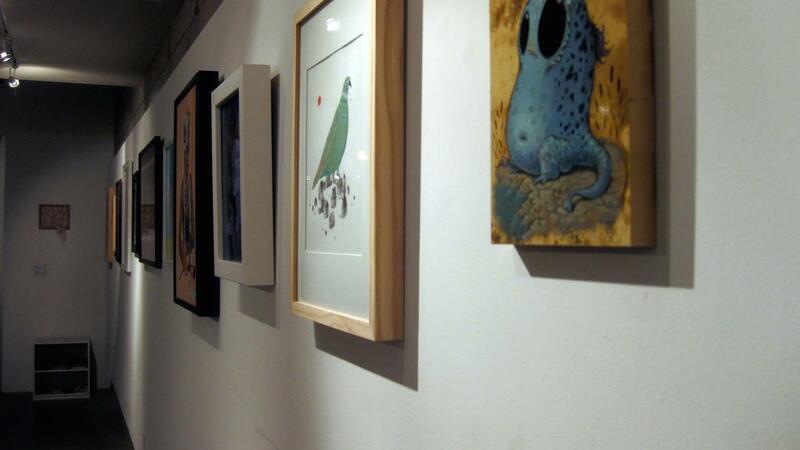 Subtext is a contemporary art gallery located in downtown San Diego that showcases artists from around the globe. With styles ranging from contemporary, illustrative, pop surrealist, or street art, Subtext strives to inspire and inform San Diego’s creative community with our featured exhibitions. Born in September 2006, Subtext took aim on San Diego’s under-served design market. After repeated trips to cities like Los Angeles, San Francisco and New York, partners Don Hollis and Dylan Jones wanted to bring some more eclectic sources of creative inspiration a little closer to home. The result was Subext, a design bookstore that featured select design-based goods with a focus on illustration, art, graphic design, architecture, and photography. From hard-to-find books, to limited edition toys and art, Subtext had it all. With an inventory truly connected to all things design, Subtext aptly filled the void. -Subtext is a space for dialogue, inspiration and appreciation of design, art and culture. -Since 2006, Owners Don Hollis and Dylan Jones engage our community by increasing cultural interaction through the arts. -As a gallery and bookstore for design, art, architecture, photography and illustration, Subtext provides an environment of high design, low brow art, pop surrealist and neo-contemporary influences aimed to nourish creative spirits everywhere.